What is a home? Is it defined by how it’s constructed? Or by its location? Is it defined by the person who built it, or by how much it costs? For so long, we’ve let others’ opinions define what a makes a home. Let others’ opinions define people based on the type of home they live in. It’s time to challenge the stereotypes and stigma that stand in the way of getting more individuals and families into high-performing, affordable homes. Next Step works with our members, partners and communities to open the door to homeownership for more homeowners across the country – using smart, affordable, energy-efficient factory-built housing. 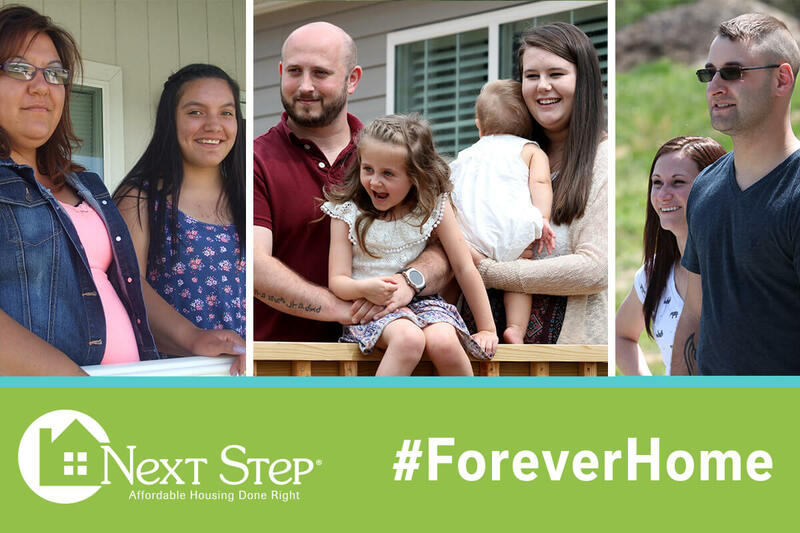 Next Step is excited to launch our #ForeverHome campaign to tell the stories of homeowners who have worked with our Next Step members and partners to successfully finance, purchase and own their homes. Our work together comes back to families. It comes back to a young veteran, who moved out of high-priced rentals and into a brand new home with his wife and two young daughters. It comes back to a working single mother, finally able to afford a home of her own for her and her children. It comes back to a firefighter, who was able to purchase a new home after his own burned down. This campaign would not have been possible without our funders, partners, members, friends and advocates. In particular, we thank the Manufactured Housing Institute for their support and partnership. These individuals and organizations have come to recognize what we at our core know to be true: it doesn’t matter how a house is built. Whether it’s in a factory or on site, a home is built with the love, compassion, hopes and dreams of families who live there. It’s built in the opportunity for people to enjoy today, and look to a brighter future. I invite all of you to read, listen and share the stories of these individuals and families that are part of our #ForeverHome campaign! Follow along with us on social media using #ForeverHome.